This small, inconspicuous lichen has experienced a dramatic decline of over 90% in occurrences and individuals over the last two decades. Boreal Felt Lichen is now known in Nova Scotia from only one site that includes three individual all within an area of only a few hundred square meters. The primary threats to Boreal Felt Lichen are atmospheric pollutants and acid precipitation which can cause the death of individuals and disrupt reproduction. The lichen can also be threatened by forestry activities and other land use practices if they disrupt the moist microclimate that is an essential for the species habitat. The map shows the municipalities where this species can be found. For more specific location information please contact us. 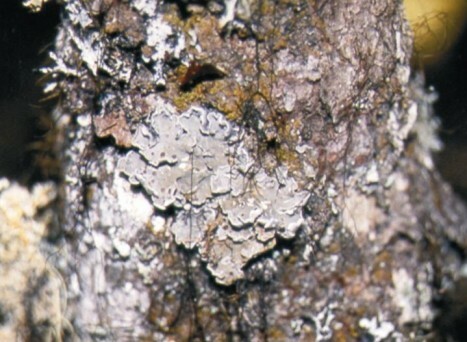 For Boreal Felt Lichen this includes its historic distribution. 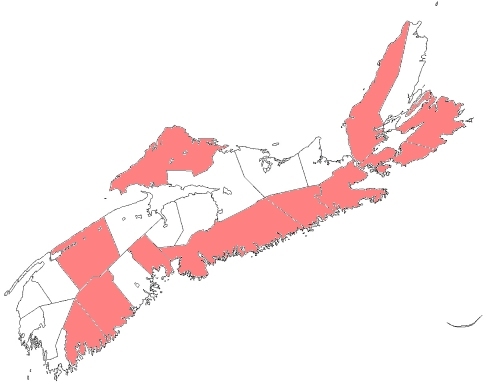 Currently it is only known to be in Halifax Regional Municpality.